Bloor Dufferin Condos is a new condo project coming to most happening place in Downtown Toronto at 1131 Bloor street West. Bloor Dufferin Condos is just one minute walk to famous Dufferin Mall, bringing a high end living to residents’ doorstep. 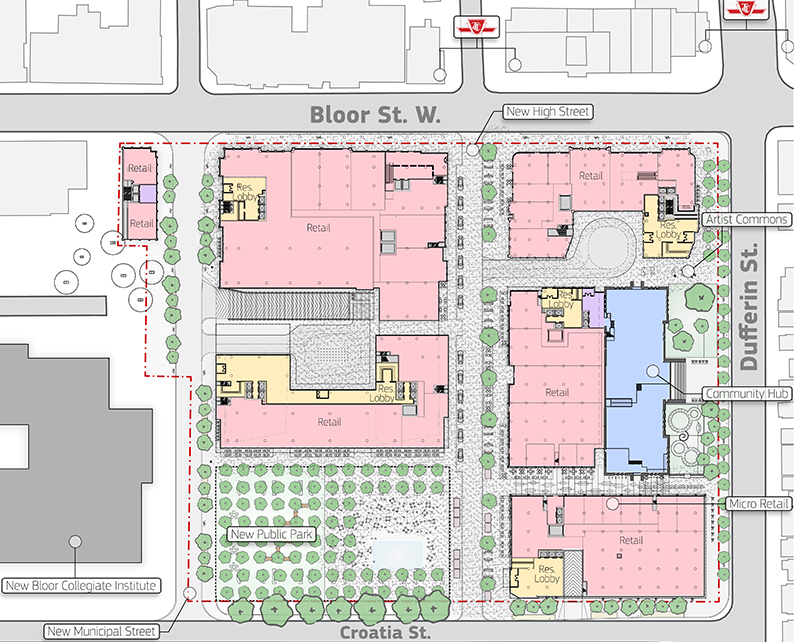 Bloor Dufferin Condos are being built by Metropia and Capital Development . The building contains 6 to 47 storeys with 2219 units being built at Bloor and Dufferin Condos. The Bloor and Dufferin condos will be a beautiful structure bringing luxury and convenience living together. 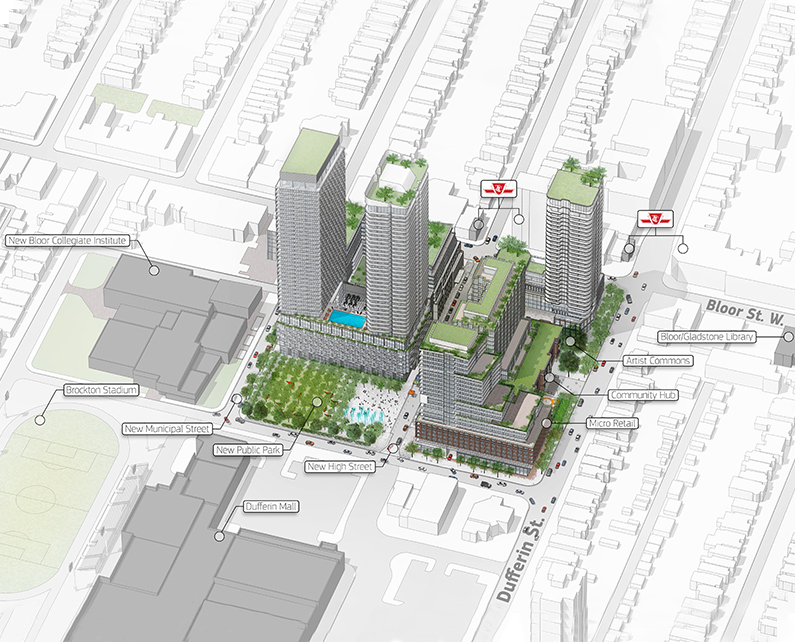 The vision for Bloor & Dufferin is a truly mixed-use community. New office, retail and residential space alongside new public areas and parkland will infuse the existing fabric of the neighbourhood with a new energy and limitless opportunities. To ensure we stay on target we’ve developed a series of Guiding Principles to direct us through each step of the journey. Read more about our Guiding Principles and the journey so far. It could only happen here. Bloor & Dufferin is becoming a world-class example of community-oriented, pedestrian-first urban design. In implementing new public space, more affordable housing options, opportunities for entrepreneurs, a new community hub, increased accessibility, a community daycare, reenvisioned heritage spaces, exciting events, an expanded BIA and new park space we’re adding vibrant new textures to the neighbourhood’s storied fabric.